Carolyn Halgas Geraci, 82, of Toledo, OH, passed away Tuesday, November 6, 2018, at the Ebeid Hospice Residence, Sylvania. 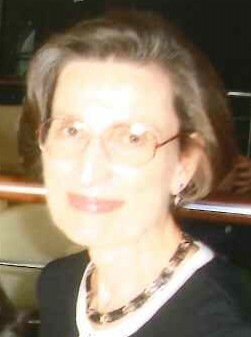 Carolyn was born in Pittsburgh, Pennsylvania, August 6, 1936, to parents Leopold and Alberta (Bastecki) Halgas. She met the love of her life, Anthony while in high school. Carolyn graduated from Robert Morris University, and later married Anthony in 1960. She was employed with the Duquesne Light Company until her husband graduated from Medical School. While in Pittsburgh she was part of the Medical Wives Student Organization. Carolyn then became a stay at home Mom raising their two children in Buffalo, N.Y. and later Toledo, OH. She then returned to school at the University of Toledo where she graduated and returned to the work force managing her husband’s Medical Practice until they both retired in 1998. She joined the Women’s Auxiliary of the Academy of Medicine, Toledo where she enjoyed serving on various committees. After retirement they enjoyed winters in Florida and summers in Toledo. Carolyn reveled in her scholarships for students at the University of Pittsburgh and the University of Toledo College of Pharmacy. Additional grants of aid were discreetly given to those who urgently needed financial support. Carolyn is survived by her husband Anthony R. Geraci M.D. ; daughter Gwen (Larry Hart) Geraci; son Grant Geraci; and sister Phyllis Halgas. She was preceded in death by her parents and infant sister Janice. Family and friends are invited to gather at the Christ the King Church, 4100 Harvest Lane, Toledo at 9:30 AM Monday, November 12th where the Funeral Mass will begin at 10 AM. A Reception will follow at the church. Interment will be private. Those wishing to offer memorials in Carolyn’s memory are asked to consider, in lieu of flowers, tributes to the Geraci Scholarship Fund, administered by the Toledo Community Foundation, 300 Madison Avenue, Suite 1300, Toledo, OH, 43604.